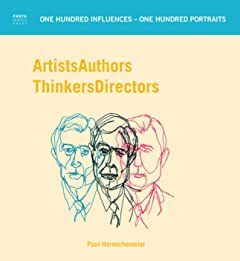 A self-portrait through one hundred portraits, Artists Authors Thinkers Directors explores cartoonist Paul Hornschemeier's sketchbook renderings of those who shaped his (and many others') artistic views. Culled from his drawing blog ― The Daily Forlorn, now one of Tumblr's featured illustration blogs, adding thousands of new followers every week ― these portraits are as stylistically varied as the subjects they portray. A scrawled, single line drawing of Lenny Bruce shares space with a triangular Werner Heisenberg. A monochromatic, stippled Stanley Kubrick stares intently at a muppetheaded Frank Oz. Each turn of the page offers a new take on a familiar face. 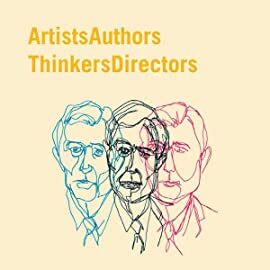 In the afterword, Hornschemeier includes brief notes on each portrait and that creator's particular work or insight that spoke specifically to him. And in that specificity, much of what is universally affecting in each creator shines through. Hornschemeier's graphic novels hop from one aesthetic to the next, varying the line and color quality to depict his narrative's mood. He plays with the language of comics. In these portraits we can clearly see him hard at experimentation, adding to his vocabulary.